MagMount-4 is a high quality magnetic cell phone car mount whose universal design will allow it to hold any and all smartphones securely and keep it conveniently and comfortably within reach. 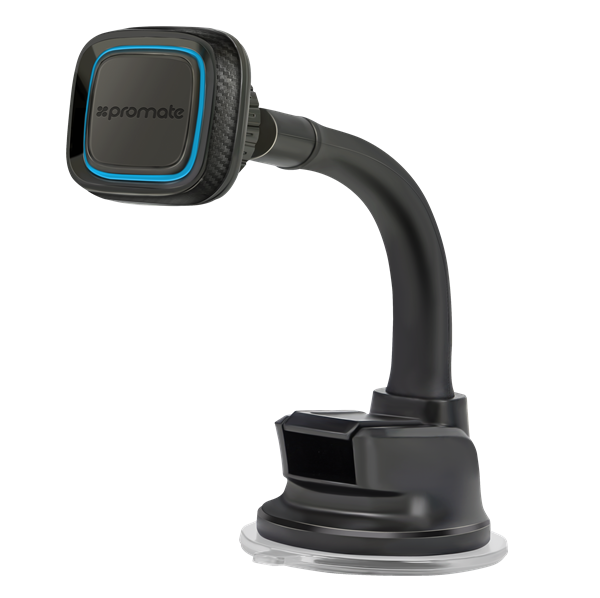 Made from high quality plastic this mount will not break easily and its strong suction cup is easy to install and remove and won't leave any nasty residue on your windshield. The flexible gooseneck and 360 degree swivel head, lets you tilt the mount to fit your optimum viewing angle. MagMount-4 is truly your best companion on the road.